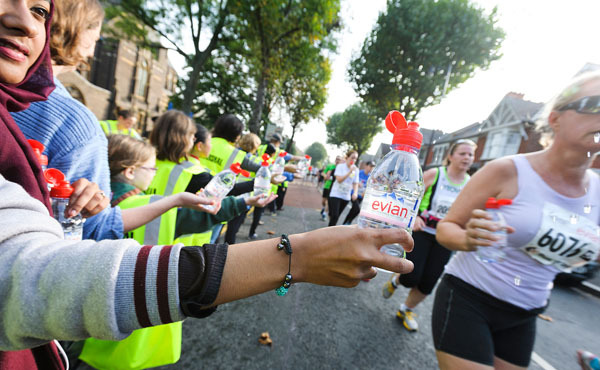 You don’t have to be a runner to enjoy Ealing’s biggest event of the year. 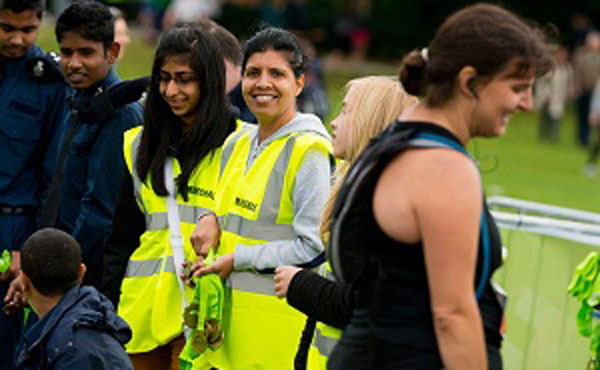 Last year, hundreds of volunteers got involved and had a great time making Ealing’s Half Marathon such a wonderful success for the runners and spectators alike resulting in us winning the accolade of the Number One Best Half Marathon 2014, 2015 & 2016 at The Running Awards. 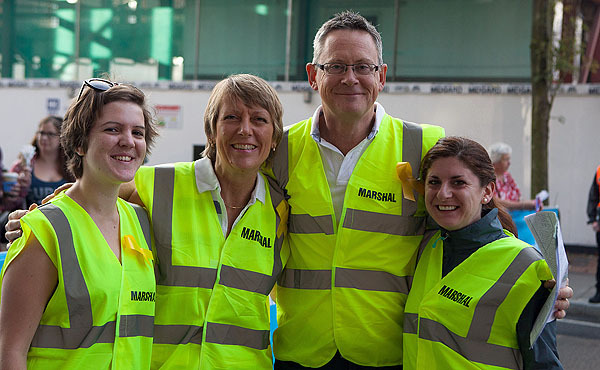 This year we’ll be putting together an even bigger volunteer team of 700 (YES 700!! ), looking after the race village in Lammas Park, and out on the roads of Ealing guiding the runners and helping local residents. It’s a fun & rewarding experience for all and we’d love you to get involved! You will need to be able to give between 4 to 6 hours on the day depending on where you are volunteering. 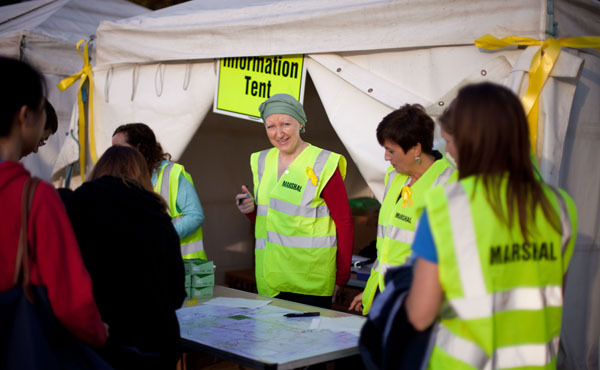 The required start time for most volunteer areas will be 07:30am to allow for all the logistics on the day. Not only is it a great community event to take part in but each registered volunteer who completes their role gets a bespoke volunteer medal, breakfast roll, drink AND a free race place* for the following years event so it’s a great incentive. There is also a prize draw after the event one lucky winner of a Magnum of Champagne! 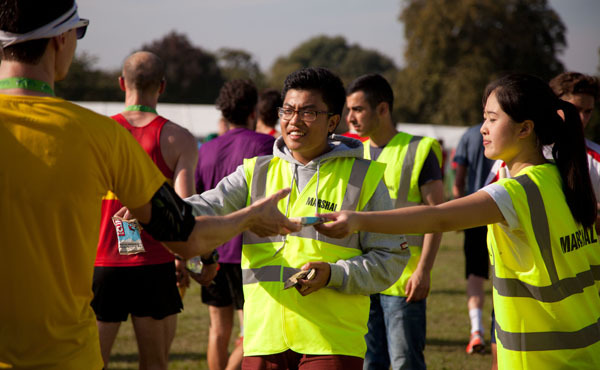 Volunteering is a great opportunity to feel part of the event and meet new like-minded people. If you could spare 4-6 hours on Mini Mile day Saturday 28th September 2019 or Half Marathon day Sunday 29th September 2019, then please choose a spot from our volunteer roles and we’ll have you registered and contact you nearer the event weekend – don’t forget to put us in your diary now! We’re also really keen to hear from Community Groups, Clubs & Charities who can organise a team of volunteers. If the role you would like is no longer on the list, then allocation has been reached and the option removed so please choose another role. Are you a member of a running club? If yes please let us know which one. *To qualify for the free race place in 2020, volunteers must sign in and out on the day and remain in their role until dismissed by their Team Leader. You will be required to give 4-6 hours depending on location. Medals will be distributed when you sign out. 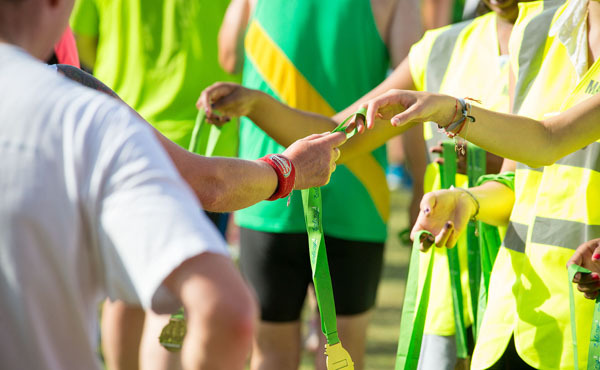 If you would like to volunteer at our Osterley Park 10k, please complete the form on the bottom of the Osterley Park 10k page and we will be in touch asap.